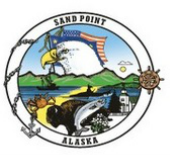 The City of Sand Point Code of Ordinances can be accessed by clicking ﻿here﻿. The Table of Contents is located on the left side of the page, where the Titles are listed. By clicking on each Title, you will find the underlying Chapters and Sections of the Code. Sand Point's Code is amended and adopted by the actions of the City Council, or by voter initiative, for instance when a tax increase/decrease is approved by the voters. If you have questions about the Code, give the City Hall a call at 907.383.2696.